Fun and flirty and functional! The Lucky In Love Fringe 14` Scallop Tennis Skort brings all the best for your court experience. Features moisture wicking fabric, a wide waistband and built-in shorts. 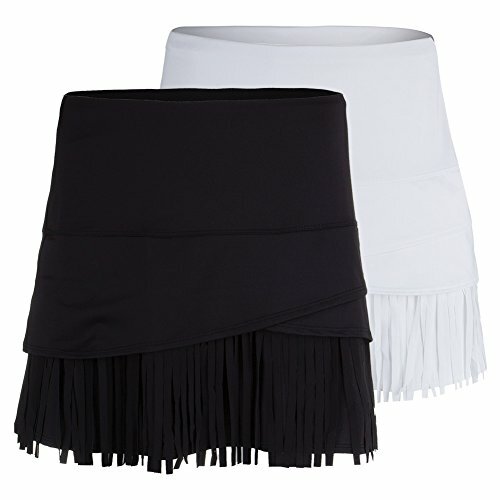 The added fringe at the bottom accents your graceful movements across the tennis court. Fun and flirty and functional. Authorized Lucky In Love Dealer. All racquets are strung and ready for the courts! SEE SELLER DETAILS FOR RETURN POLICY.